It starts right here, on Belmont Avenue! 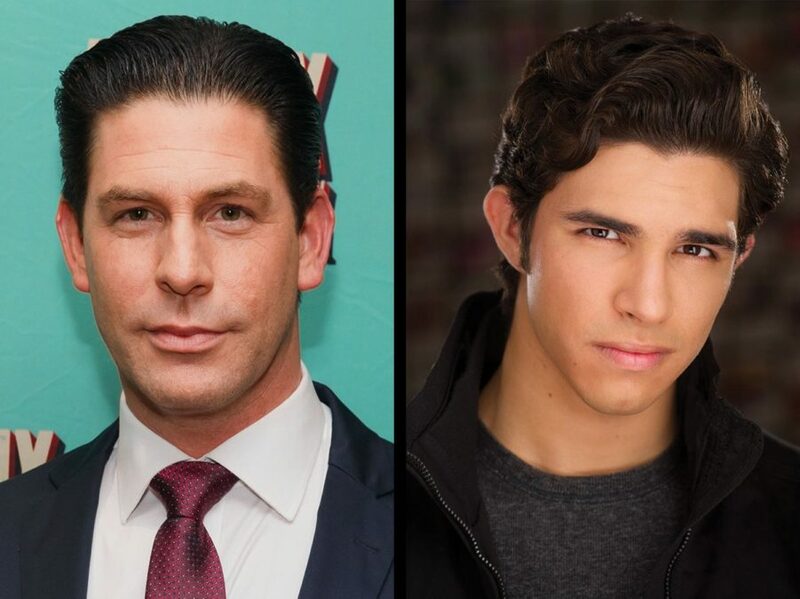 Broadway alums Richard H. Blake and Joe Barbara along with Joey Barreiro (Disney's Newsies) will star in the national tour of A Bronx Tale: The Musical as Lorenzo, Sonny and Calogero, respectively. Directed by four-time Tony winner Jerry Zaks and two-time Oscar winner Robert DeNiro, the traveling production of A Bronx Tale will kick off October 14 in Rochester, NY, before continuing on to cities all across the country. In addition to Blake, Barbara and Barreiro, the touring cast of A Bronx Tale will feature Michelle Aravena as Rosina, Brianna-Marie Bell as Jane, Antonio Beverly as Tyrone, Frankie Leoni as Young Calogero and Shane Pry as Young Calogero Alternate. The ensemble includes Mike Backes, Michael Barra, Sean Bell, Josh Burrage, Joey Calveri, Giovanni DiGabriele, John Gardiner, Peter Gregus, Haley Hannah, Kirk Lydell, Ashley McManus, Chris Messina, Kyli Rae, Joseph Sammour, Paul Salvatoriello, Jason Williams and Brittany Williams, with additional casting to be announced. Based on Oscar nominee Chazz Palminteri's critically acclaimed play that inspired the now classic film, this streetwise musical will take you to the stoops of the Bronx in the 1960s—where a young man is caught between the father he loves and the mob boss he’d love to be. Bursting with high-energy dance numbers and original doo-wop tunes from the songwriter of Beauty and the Beast, A Bronx Tale is an unforgettable story of loyalty and family. A Bronx Tale features a score by eight-time Oscar winner Alan Menken and three-time Tony nominee Glenn Slater and choreography by Tony nominee Sergio Trujillo. The musical is currently playing Broadway's Longacre Theatre, where it opened in December 2016. To find out when A Bronx Tale: The Musical is headed to your city, click here.